The global implications of antimicrobial resistance (AMR) require immediate action. An initial step in addressing this rising public health concern is a better understanding of how we got to this crucial tipping point, and what governments, policy makers, healthcare systems and providers can do to reverse or stop AMR progression. Knowledge of the various contexts in which antimicrobials are used, such as human health, animal health, and agriculture, is required to get a complete picture of what is causing this unprecedented acceleration of resistance and what can be done to reverse it. Antimicrobial resistance (AMR) is not new; in fact, it is a natural biological phenomenon understood since the discovery of antibiotics. In the early part of the 20th century, AMR was a slow and generally manageable problem, with the simple solution of creating new drugs. Today, however, the overuse of antimicrobials has led to an alarming increase in the development and spread of AMR, resulting in the emergence of ‘superbugs’ that cannot be treated with existing medicine. Due to the current rate at which AMR is developing and spreading, it is universally recognized as a global public health concern. Countries across the globe have acknowledged the magnitude of the problem, spurred by a 2014 report by the World Health Organization (WHO, 2014) which conveyed the seriousness of the issue. The global implications of AMR require immediate action. Although public health experts admit the world is at a crucial tipping point, there is strong agreement that the problem is reversible, and that governments and policy makers have the ability to change the course of AMR. The reversal, however, will not be the simple fix of the early 20th century, that of simply creating more drugs. That is no longer viable for various reasons, the most concerning being the accelerated rate and spread of resistance. As such, quick and coordinated action is required across and within countries to address the issue, or the fear is that the global health community will soon be facing the threat of a world in the pre-antibiotic era. An initial step in addressing this rising public health concern is a better understanding of how we got to this crucial tipping point, and what governments, policy makers, healthcare systems and providers can do to reverse or stop AMR progression. There is a strong consensus that interventions need to happen in various sectors and at various levels and should include: global public awareness campaigns on AMU/AMR, better sanitation and hygiene to control the spread of infection, a reduction in non-therapeutic AMU in agriculture, increased investment in vaccines and alternatives to antimicrobials, improved AMU/AMR surveillance, development of rapid diagnostic test to improve prescribing practices, investment in human capital for those working in infectious disease, and incentives around research and development for new antimicrobials (O’Neill 2016). With the understanding that “the use of an antimicrobial anywhere can increase resistance to any antimicrobial anywhere else” (O’Brien 2002), knowledge of the various contexts in which antimicrobials are used, such as human health, animal health, and agriculture, is required to get a complete picture of what is causing this unprecedented acceleration of resistance and what can be done to reverse it. What is AMR and Why is it a Concern? AMR occurs when a microorganism (microbe), which causes infection, becomes resistant to the effect of the medicine used to kill the microorganism. This allows the microorganism to survive and spread, leading to ‘superbug’ infections that are difficult to treat. The medicines used to kill infections are called antimicrobial agents and include antibiotics, antivirals, antifungals, and antiparasitics such as anthelmintics and antimalarials. Resistance happens when a microbe’s biology changes, either through gene mutation or through the acquisition of resistance genes from external sources. When treatment does not kill all microbes, strains with resistance are those more likely to thrive and multiply and gradually replace susceptible strains. The result is that a treatment that was once effective at killing an infection no longer works. Different antimicrobial agents are used to treat different microbes and antimicrobial use (AMU) describes how the medicines are used, including dose, route of administration, frequency of administration, and length of treatment period. Resistant microbes are typically present where AMU is frequent and diseases occur commonly, such as hospitals, veterinary clinics, and intensive livestock production facilities (PHAC 2015). However, over the past decade, the rise of AMR has resulted in resistance becoming more common in the wider community setting (O’Neill 2016). The situation in Canada is no exception (Fishman 2006). There is growing consensus that the major risk factor for development and acceleration of AMR is excessive and inappropriate AMU (Bronzwaer 2002, Holmes et al. 2015). However, contention and debate arise when we try to identify the source of the majority of this inappropriate use, that is, whether AMU in human or animal health contribute more to AMR. Because the same classes of medically important antimicrobials are often used in both humans and animals, it is clear that both sectors contribute to AMR and the impending effects on human health (PHAC 2015). Understanding the contribution from each sector is essential to curb AMR, and potentially reverse the acceleration and spread that is putting the world at risk. Policy makers and scientific communities with differing perspectives and priorities (i.e. human health vs. animal health) need to come to a consensus on AMU, including the risks and benefits (Bell 2001). For this to occur, accurate, relevant, and consistent data on AMU is required across all sectors through increased surveillance, stewardship, and global information sharing. In turn, this more comprehensive data will lead to increased research capabilities on interventions to address AMR in a safe and sustainable manner. Although it has been estimated that the cost of tackling AMR at a global level could reach 40 billion USD over 10 years, the cost of inaction is even greater. Currently it is estimated that 700,000 people die every year from deaths attributable to AMR. Based on a scenario of resistance for six pathogens, it is estimated that without action this number could reach 10 million a year by 2050, with a global cumulative cost to economic output of 100 trillion USD. This too is only a conservative estimate of costs, as inaction will also lead to an increase in mortality risk associated with medical treatments that leave patients vulnerable to infection such as cancer therapy, organ transplants, and invasive surgery. The continued increase in AMR will undermine the viability of many medical interventions, changing the health care system for the worse (O’Neill 2016). There is clear evidence to suggest that overuse of antimicrobials in humans is one of the factors contributing to the rising incidence of AMR. In the USA, of the estimated 23 million kilograms of antibiotics used annually, half are provided to people, while the rest are used in agriculture (Levy 2002). In Canada, approximately 21% of the 1.4 million kilograms of antimicrobials distributed or sold in 2013 were used in humans (PHAC 2015). Looking at the Canadian context for the first domain, outpatient/community use, as with other developed countries, Canada has high rates of prescribing for oral antimicrobials in outpatient/community settings (ECDC 2015, Conly and Johnston 2000). In 2013, Canadian community pharmacy dispensations data showed that 70% of all antimicrobials used in human health in the country were dispensed in this domain, although recent data is beginning to show a decrease (PHAC 2015). Research studies outside of Canada have similar findings, with some indicating 85-90% of all antimicrobials prescribed are for outpatients in community settings. The common finding across all the research, including studies in Canada, is that 50% of the antimicrobials dispensed in the outpatient/community setting are deemed inappropriate or unnecessary (Owens 2008, Fishman 2006, Lautenbach 2003, Simpson et al. 2007, Conly and Johnson 2000, Holmes et al. 2015). While 50% is considered high among those researching the connection between AMR and human health use, none suggest that individuals who require antimicrobials should be denied prescriptions for fear of AMR. Rather, the research calls for a better understanding of the 50% deemed inappropriate or unnecessary; essentially what diagnoses antimicrobials are being prescribed for and why physicians are prescribing them. One Canadian study showed that in community settings, 51% of antimicrobials were prescribed for patients with upper respiratory tract infections, common colds, or viral infections, all conditions for which antimicrobials are ineffective, therefore making prescription of antimicrobials in these cases inappropriate (Conly and Johnson 2000, Wang et al. 1999). In 2013, 8% of all diagnoses made by Canadian community doctors recommended an antimicrobial, with the most common prescriptions being given for pneumonia, acute bronchitis, and acute sinusitis. However, acute bronchitis and acute sinusitis are often viral in origin and therefore antimicrobials are ineffective for treatment (PAHC 2015). This research points to the possibility of excessive or inappropriate prescribing in community settings in Canada, however, identifying why this is occurring and changing prescribing behavior is a much more challenging task. For example, physicians do not have rapid point-of-care testing to identify organisms and drug susceptibility so they very often prescribe based on empirical evidence provided by the patient and by physical assessment. Despite the difficulties in pinpointing exactly why it occurs, research shows that there is excessive or inappropriate prescribing in community settings and many calls for a reduction in community prescribing as one initiative that may assist in restraining AMR (Priest et al. 2001, van Weel and Grunsven 1999, Lindbaek and Hjortdahl, 1998, Huovinen and Cars, 1998). These studies suggest that targeting prescribing and AMU in the community would be a good starting point with the greatest impact, as this is where the highest use is occurring for human health (Hansen et al. 2015, Holmes et al. 2015). However, the connection between AMU and AMR in human health is far more complex than either excessive or inappropriate prescribing alone, and therefore a uniform approach to understanding AMR cannot be used in different settings (Holmes et al. 2015). Policies and ways forward need to be mindful of the various and co-occurring factors that are leading to AMR and create integrated polices across both the community and hospital settings (Holmes et al. 2015). In looking more closely at the second domain of AMU in human health, inpatient use in hospitals or emergency rooms, pharmacy dispensations data show hospital purchases of antimicrobials represent 30% of all antimicrobials used in human health in Canada, as measured by defined daily doses (DDD) per 1000 inhabitant days (PHAC 2015). Although overall AMU is lower in hospitals than in community settings (30% versus 70%) the estimates of unnecessary prescribing in hospital settings are higher. The exact reason for the higher percentage of unnecessary prescribing in hospitals and emergency rooms is unclear, but acuity of symptoms and time pressures to treat, particularly in the emergency room, as well as prophylactic prescriptions for invasive surgeries and chemotherapy, are thought to contribute (Owens 2008, Fishman 2006, Lautenbach 2003, Simpson et al. 2007, Conly and Johnson 2000, Holmes et al. 2015). Nosocomial infections are infections patients contract while they are in the hospital receiving treatment for unrelated conditions. The WHO estimates that 7% of all patients admitted to a hospital in an industrialized nation will acquire a nosocomial infection. This statistic jumps to one in three in those admitted to the intensive care unit (ICU) (O’Neill 2016, WHO 2011). Similar to the community setting, excessive and inappropriate use of antimicrobials in hospital settings is intrinsically linked to the development of antimicrobial resistant organisms and drives the development of certain nosocomial infections (O’Neill 2015, CARA n.d). Research studies suggest that AMR rates and organism transmission in inpatients are directly related to infection prevention and control (IPC) practices in facilities and that the prevention of nosocomial infections can be effective in decreasing further AMU, and thus ongoing development of AMR (Bell 2001). Healthcare and nosocomial associated infections are frequently caused by resistant microorganisms and are treated empirically with broad spectrum antimicrobials. Thus, those studies focusing on AMR in hospital and emergency room settings suggest that resistance can be better controlled through more effective AMU and prescribing policies and AMR rates in health care settings and transmission decreased by improved infection prevention and control in the general hospital environment (Owens 2008). Although there are more complex factors that influence AMR in both the human health domains described above, one overarching consensus is that excessive and inappropriate AMU is the biggest driver of the increasing problem of AMR in human health. Because all medically important antimicrobials in Canada require a prescription, physician prescribing, whether in community settings or in hospitals and emergency rooms, is one of the primary factors that researchers believe is leading to increased AMR (Prior 2005, Livermore 2005). Various studies have looked into prescribing behaviours, however, the majority of research findings admit its direct connection to AMR is complex and difficult to measure. Research has found that physician prescribing is dependent on a variety of factors, not just personal prescribing behavior. Factors that have a positive correlation to physician prescribing behaviors include the physicians’ previous clinical experience, the number of years of practice, and lack of knowledge of AMR issues. Meaning, a physician who has more clinical experience, more years of practice, and is more ignorant of AMR issues is more likely to prescribe antimicrobials. Studies indicate that physicians’ attitudes including ignorance of AMR, complacency, and fear, are commonly associated with unnecessary antimicrobial prescribing. The latter, fear, is further broken down into two main aspects: first, the fear of a worsening situation for the patient if something is not tried, and second, the fear of a patient choosing to leave the physician’s practice if they to do not give the patient what they perceive them to want. This is also related to physician complacency as it has been shown that some physicians prescribe antibiotics to fulfill their perception of their patients’ expectations. Studies indicate that physicians feel there is an expectation for antibiotics from patients and refusing this will result in unsatisfactory patient experiences (Hansen 2015). Diagnostic uncertainty and the desire for a quick fix were also cited as factors in antimicrobial misuse and prescribing (Teixeira Rodrigues et al. 2013). Although it is irrefutable that over-prescribing increases the odds of AMR, the evidence is not clear on whether less prescribing in fact decreases AMR (Priest et al. 2001). There is some research, however, that has shown that changes in prescribing behaviors have been associated with reduced levels of AMR, albeit with modest outcomes (Simpson 2007, Seppala et al. 1997, Wise 2004, and Holmes et al. 2015). In short, the correlation between reduced use and reduced resistance is complex, with some research showing positive results and others not. Some suggest this is due to the fact that AMR is often tackled with multiple interventions at the same time and therefore it is difficult to determine exactly what contributed to the decrease in resistance (Fishman 2006). Some research suggests that a change in prescribing will have dramatic impacts on AMR (Wise 2004), while others contest that without having a clear correlation between decreasing resistance and decreased AMU, the best option for combating AMR is to reduce emergence of new resistant strains. One could agree that both approaches are likely valid and required in the fight against AMR, however, a clearer understanding of the correlation between decreasing resistance and decreasing use is needed for the development of effective interventions (Holmes et al. 2015). Outside of physician prescribing there are also AMU behaviors in individuals and patients that many consider to be contributing to AMR. Equally as difficult to measure as prescribing behaviors, individual/patient AMU behavior includes patients demanding antibiotic prescriptions from their care providers, failing to finish the full course of treatment, and stockpiling leftover antimicrobials for future self-medication (Simpson et al. 2007, Hart et al. 2006, Hansen et al. 2015, Muras et al. 2013). Patient understanding and education around antimicrobials is also considered to be a factor leading to increased AMR, with studies suggesting up to 1/3 of patients believe antibiotics are effective against the common cold and flu (Hansen 2015). A 2006 consumer survey of Canadians found that 53% of respondents believed that antibiotics play a role in treatment of viral infections and almost half believed they would help combat a flu pandemic. Interestingly, 63% of those surveyed believe they can avoid AMR infections by using antimicrobials judiciously, not understanding that AMR is connected to the bacteria itself, not the individual using the drugs (CARA n.d). These findings suggest that public awareness and education on AMU/AMR needs to be increased, and the role of marketing in driving patient demand needs to be examined (Ardal et al. 2015, Holmes et al. 2015). What is clear is that AMU in human health is complex. It takes place in various settings, is related to various aspects of personal and contextual behaviors, and is an aspect of public health that is difficult to both measure and control. With that said, it is important to note that since 2001, AMU in communities and hospitals in Canada has declined (PHAC 2015). Despite this, it is suggested that any intervention for AMR in human health will require a paradigm shift involving prescribers, patients, and society with respect to understanding AMU/AMR. The unfortunate reality that writing a prescription is often perceived by physicians as being faster than explaining why a prescription for antimicrobials is unnecessary must also change (Freidman 2008). It is also important to note that many experts researching AMR in human health caution that although combating resistance on the human health side and in healthcare settings is essential, these efforts – and any gains made – may be seriously undercut by continued prolific use in animal health and agriculture (Ardal et al. 2015). That said, efforts have been made in Canada that have been shown to have positive, albeit small, impacts on AMU/AMR. These include the distribution of antimicrobial tool kits to all physicians and veterinarians, the creation of a website to track ongoing AMR activities, as well as the initiation of programs to promote judicial prescribing practices (Conly and Johnston 2000). Antimicrobials are widely used as an integral part of many distinct agricultural sectors (such as beef, dairy, swine, poultry, and aquaculture among others) to increase animal production and promote animal welfare through improved animal growth and decreased disease and mortality, with the ultimate aim of providing plentiful food for human consumption inexpensively (Page et al. 2012). It is not new knowledge that antimicrobial use in livestock is linked with the emergence of AMR. Reviews of AMU and warnings of possible consequences of AMR have been published in the scientific literature for decades, with the Swann Report commissioned by the UK government published in 1969 (Soulsby 2007), and with several large-scale reviews over the past 20 years also calling for improved AMU in animals, including prohibiting the use of antimicrobials for animal growth promotion (Barza et al. 2002, DeVincent et al. 2006, O’Neill 2016). The evidence that AMU in animal agriculture contributes significantly to AMR in human and animal microbial pathogens continues to grow as new epidemiological studies are conducted. These studies also highlight that increasingly globalized food trade can make it difficult to connect AMU in livestock production directly to AMR human infections, as humans can become sick after consuming a single meal that contains animal products from all over the world, making it difficult to track the source of the infection (Mather et al. 2012). Additionally, new genetic analysis techniques have allowed advanced investigation into the initial source of resistance genes (Larsen et al. 2015, Price et al. 2012, Robinson et al. 2015). For example, genetic analyses have shown that a new strain of methicillin-resistant Staphylococcus aureus (MRSA) emerged in livestock from a human-origin strain of methicillin-susceptible S. aureus. This originally livestock-specific strain of MRSA (CC398) has now been found in human infections, initially primarily among people in close contact with livestock in Europe, Asia, and North America, including in Canada among pig farmers (Khanna et al 2008, Price et al. 2012). More recently, evidence for human-to-human transmission has been documented, for example in Denmark where even those that have no involvement with livestock have been found to be infected (Robinson et al. 2015).  Within Canada, AMU in food production also impacts AMR in human health: for example, the voluntary partial withdrawal of AMU in the broiler chicken industry resulted in a significant decrease in AMR-Salmonella enterica infections in people (Dutil et al. 2010). The emergence of AMR in livestock has been shown to affect human health through the following mechanisms: 1) contamination of meat, milk, and egg animal products; 2) direct contact with animals; 3) contamination of the environment, such as through spreading animal manure on fields as fertilizer and pollution of water; and 4) through providing a ‘reservoir’ of resistance genes. Studies suggest that resistance genes can be incorporated within the animals’ normal microbiota and can then contaminate the environment and/or be passed to humans, in which case resistance genes can also be incorporated into the human gut flora. Whether in animals or humans, once resistance genes have been incorporated by an individual’s natural microbiota, they serve as a source of AMR that can potentially be transferred to pathogens when infection occurs (Page et al. 2012). It is difficult to quantify the proportion of AMR emerging from animal use without clearly understanding AMU in specific livestock sectors. There is a lack of AMU research and data in agriculture, similar to the lack of specific human AMU data in different sectors. AMU in animals is also inherently more complicated than in humans due to differences in management of distinct livestock industries and in how animals are treated with antimicrobials. Each livestock industry has different AMU for the following reasons: 1) distinct husbandry styles (i.e. landless intensive production where animals are concentrated in one spot versus extensive free-range production); 2) specific antimicrobial agents approved for use in each species, as well as a particular demographic of an individual species (i.e. approved antibiotics are different for a mature lactating dairy cow and a feedlot beef steer); 3) varying drug withdrawal times (from the end of treatment until the animal can be slaughtered for human consumption) for both specific drugs and species; and 4) specific rules in how antimicrobials can be administered (i.e. by feed or water versus by injection into muscle or under the skin). These rules and their regulations vary by country and often within a country as well (NFAHWC 2016, Page et al. 2012). Furthermore, animals are frequently treated as populations at the flock or herd level rather than as individuals, which is the common way to treat humans. Furthermore, factors such as cost of treatment and ease of administration play a much more significant role in animal health than human health when deciding what antimicrobial to use (Page et al. 2012). The wide range of species that are used in food production – from pigs and poultry, to ruminants such as cattle and sheep, to aquaculture, to bees – also increases the complexity in understanding appropriate AMU. The route of administration and effective dose cannot always be extrapolated from label directions easily as different species metabolize drugs differently and intake of appropriate dosages may be difficult to control (i.e. antimicrobial consumption via feed or water varies with individual animals’ feed or water intake respectively) (NFAHWC 2016). Regulatory efforts in Canada are targeting the issue of AMU and growth promotion requiring the removal of drug label claims for growth promotion and increasing the role of veterinary oversight in administration of antimicrobials to animals via feed; these new regulations are expected to be in effect by December 2017. Health Canada is proposing amendments to the Food and Drug Regulations to provide a list of eligible/ineligible drugs allowed for Own Use Importation (Health Canada 2016). Generally, antibiotics are used for three primary purposes in livestock production: to promote animal growth, to prevent disease in herds/flocks, and to treat individual animals with bacterial infections. Of these, using antibiotics for animal growth promotion is the most common use of antimicrobials in agriculture by weight and by far the most controversial, as it provides no health or welfare benefit to the animal, and in fact has been shown to accelerate AMR. As demand for cheap animal protein continues to increase, particularly in rapidly growing economies, more farmers are switching to intensive production, which often depends on antimicrobials to compensate for poor sanitation and optimize production. It is conservatively estimated that from 2010 to 2030, the global consumption of antibiotics in livestock production will increase by two-thirds from 63,200 tons to 105,600 tons (Robinson et al. 2015). The majority of scientific literature discussing AMU/AMR in animals calls for banning the use of antimicrobials for growth promotion and limiting their use for the prophylaxis of disease at the herd/flock level. Indeed, a recent review (O’Neill 2016) on AMR conducted by the UK government found that of 280 peer-reviewed articles (143 without input from industry) written by academics, 100 studies supported limiting AMU in agriculture, only 7 studies were against limiting AMU in agriculture, and 36 studies had a neutral stance. There is concern that short-term financial interests have prompted some agricultural industry groups to argue that there is no conclusive proof that agricultural use of antimicrobials is a threat to human health (Hollis et al. 2013). The continued use of antimicrobials to treat individual disease when necessary is recognized as valid to protect animal welfare and avoid economic losses, however, responsible prescribing practices on the part of veterinarians—and adherence to prescribed treatment and use protocols on the part of livestock producers—is critical. As in human AMU, specific data on antimicrobial prescribing by veterinarians and AMU by producers is lacking. As discussed above, AMU in animals, even for targeted individual treatment, is further complicated by difficulties in determining the correct dose (i.e. studies have shown poor accuracy in farmers estimating an animal’s body weight based on visual appearance) and consistent administration of the drug for the appropriate dose duration (i.e. fractious animals that are difficult to restrain). The important role of veterinary oversight in administration of antimicrobials to animals is thus widely recognized. However, in Canada, medically important antimicrobials for human and animal use are frequently available to livestock producers without a veterinary prescription. Canada’s current policies on AMU in food animals are considered sub-par compared to the international standards, as veterinary oversight is not required (except in Quebec) for antibiotic use in feed or water and there are no restrictions on the category of antimicrobial that may be added to animal feed or water. Additionally, Canadian producers continue to be able to import unknown quantities of antimicrobials for use in their livestock destined for human consumption. These antimicrobials are imported without veterinary or regulatory approval under the controversial Active Pharmaceutical Ingredients (API) and Own Use Importation (OUI) provisions. Additionally, pharmacists and veterinarians using API and/or OUI are exempted from having a Health Canada-approved establishment license (NFAWC 2016). Canada has been criticized for its failure to develop a national interdisciplinary strategy to address AMU/AMR, including comprehensive, integrated AMU/AMR surveillance programs. Successful AMU/AMR surveillance programs are already in place in many European Union countries, including Denmark, France, and the Netherlands, among others. Canada’s slow response to address AMU/AMR is further complicated by its federated governance and complex regulatory frameworks, i.e. approval and sale of antimicrobials is regulated federally, while the provinces and territories regulate AMU by physicians and other prescribers, veterinarians, pharmacists, and producers. Prescribing and dispensing antimicrobials are considered separate activities, however, many Canadian veterinary clinics both prescribe and dispense/sell antimicrobials simultaneously. Critics state that this is a potential conflict of interest as producers may feel pressured to buy the drugs and the revenue from drug sales can potentially make up a significant portion of veterinary clinic income, incentivizing veterinarians to use antimicrobials unnecessarily. Although Canada currently has several federal disease surveillance systems and programs that gather data including AMR and AMU, none of these systems was originally designed specifically for AMR and AMU, hence the data are not integrated and it is difficult to compare the data and provide a clear understanding of the influence of AMR and AMU in both animals and humans in Canada. There is little data on AMU by livestock producers who access and use medically important antimicrobials without a veterinary prescription, but it is widely recognized that the complex task of ensuring the correct dosage, route of administration, and treatment frequency and duration of the appropriate antimicrobial for the specific disease is a highly specialized skill. Further, for maximum antimicrobial efficiency, any underlying pathology must also be identified and addressed by a veterinarian. Canadian veterinarians have various resources (CVMA 2008) to guide decision-making in appropriate treatment protocol, including choosing antimicrobials from the category of least importance to human health whenever possible. These resources are essential for prescribing extra label drug use (commonly referred to as ‘off-label’ drug administration), which is often appropriate for a veterinarian to do in certain situations. Veterinarians are responsible for maintaining responsibility for treatment efficacy and animal and food safety. However, because many antimicrobials are available to livestock producers without a prescription, any time a producer administers an antimicrobial ‘off-label,’ they are acting illegally and their action creates a risk to animal safety, food safety, and public health. In Canada, relatively small livestock populations make it less economical for pharmaceutical companies to repeat safety trials necessary to register treatment claims for various species, doses, disease claims, approved routes of administration, or required drug withdrawal times, when those trials and approvals have already been granted in another country (e.g. the United States). For example, goat production is so small scale in Canada compared to other countries that very few antimicrobials have a label claim for goats, even though these same drugs are approved for use in goats in other countries. Veterinarians in Canada are granted the privilege of extra-label drug use to accommodate this relatively limited range of approved drug products as well as approved drug doses for treating disease in different animals. To obtain an antimicrobial agent with a veterinary prescription requires a valid veterinary-client-patient relationship (VCPR) before a veterinarian can determine medical need and prescribe and/or dispense an antimicrobial. The VCPR is defined within the CVMA’s 2008 Antimicrobial Prudent Use Guidelines, and includes reference to the specific animal patient(s) and familiarity with the medical condition being treated, oversight of the treatment progress, availability for follow-up care if required, and familiarity with the specific patient(s) and livestock operation. However, the VCPR is regulated by provincial legislation and specific data is lacking on real world prescribing practices. This is further complicated by the fact that many veterinary clinics sell antimicrobials, potentially creating a financial incentive to sell even if the veterinarian has not recently been on the specific farm nor in the clinic to advise staff. Moreover, the role of corporate loyalty programs offered by pharmaceutical companies can potentially be seen as a conflict of interest in influencing treatment choice. Pharmaceutical companies may also advertise in producer-targeted magazines and newspapers, potentially encouraging livestock producers to request certain brand name medications or creating misunderstanding among producers that a particular antimicrobial is ‘better’ than another one. Transparency is required on the part of both the veterinarian and the pharmaceutical company to ensure the antimicrobial category that is chosen is the most effective one for the specific disease and is at the lowest possible level of importance to human medicine. While it is recognized that antimicrobials are required to manage animal disease to protect animal welfare and ensure food security, there is growing consensus that AMU in animals must be limited and that antimicrobials should not be used as compensation for poor husbandry, such as over-crowding and insufficient ventilation. Restrictions on AMU in animals, particularly in the absence of a health benefit to the animal being treated, are routinely acknowledged as an important and effective first step in reducing AMU and preventing further AMR. Data and research exists to support the supposition that decreasing AMU can help decrease AMR, however, there is a lack of quality surveillance data to quantify how much of a decline in use is necessary for a decline in resistance (Wise 2004, Friedman 2008). Although plenty of piecemeal data on AMU/AMR exists, and is currently being used in addressing what we do know, there is no complete picture of AMR (PHAC 2015). The lack of comprehensive surveillance data on AMU/AMR, not just in Canada but also globally, is a major hurdle in the fight against AMR. Further to this, the lack of data fuels ongoing debate on which sector—human health or animal health and livestock production—is to blame for the emergence of new resistant strains and the acceleration of AMR, slowing the response of each respective sector in taking appropriate action. What is known, irrespective of comprehensive data (and what has been described above in this paper), is that both sectors have a role to play in AMR/AMU, and multifaceted coordinated interventions are required to adequately address the issue. The lack of AMU/AMR surveillance across livestock production industries and the lack of specific data on AMU among veterinarians, pharmacists, and livestock producers in Canada makes it difficult to pinpoint or quantify the role of any one agricultural sector in contributing to the emergence of AMR among food-producing animals. To understand this complete picture of AMR/AMU, international cooperation on AMR/AMU surveillance is required immediately. A coordinated global effort must be created that can track and analyze data in three major pools: 1) consumption of antimicrobials in animals and humans to better understand AMU; 2) rates of resistance that are emerging for various drugs in both animals and humans; and 3) molecular data to understand how emergence of resistance is developing. To adequately capture the various factors contributing to AMR, this global surveillance effort must use a ‘One Health’ approach, and countries must increase efficiency in data sharing policies to increase global cooperation. The WHO is leading some of this work through the Global Antimicrobial Resistance Surveillance System (GLASS) and the OIE is tracking some AMU in animals, however, major gaps still exist. These are due in part to a lack of understanding of various countries’ surveillance capacities, laboratory capabilities, and health infrastructure levels, as well as a clear idea of how various systems would feed into a coordinated global response. Not only is it difficult to estimate what an initiative such as this would cost, but also, like most issues we face in our ever-globalizing world, there is a lack of funding available to support such a robust surveillance initiative (O’Neill 2016). A global One Health surveillance initiative is the gold standard being called for, but there are other immediate smaller-scale initiatives that can begin to curb AMR. Avenues to decrease the demand from the public, and from livestock producers, for antimicrobials have been identified, such as public awareness of AMR/AMU and increased uptake of vaccines, alternatives and other non-pharmaceutical disease prevention mechanisms. On both the human and animal health side, improved point-of-use rapid-result diagnostic tests to assist in decreasing unnecessary prescribing, and allowing for more accurate antimicrobial prescribing when necessary, could decrease AMU. On the animal health side specifically, a reduction of unnecessary use in food animal production, including disallowing AMU for growth promotion and implementation of restrictions or bans of medically important antimicrobials, is an immediate action that could have dramatic results and could be adopted by many counties. Although all these smaller scale initiatives could be implemented to some degree with the data that currently exists, all would benefit long-term from improved data through improved surveillance that will allow for ongoing evaluation and selection of effective interventions. This paper did not allow for a full examination of the circumstances surrounding the development of new antimicrobials, however, it is clear that the development of new antimicrobials alone can no longer be the main solution to AMR. Not only are there various scientific challenges to discovering new antimicrobials, research and development (R&D) funding is essentially non-existent. The reasons for this are difficult to discern, but prevailing opinion is that BigPharma is no longer interested in R&D of antimicrobials because they require too high of an investment for uncertain returns. Clinical trials are expensive and sales of new drugs are initially low because generic drugs still work in some instances. This combination of high cost and low sales has turned BigPharma away (O’Neill 2016). Apart from the various challenges associated with the development of new antimicrobials, a more substantive point was raised by Dennis Maki at the 1998 meeting of Infectious Disease Society of America, who stated: “the development of new antibiotics without having mechanisms to insure their appropriate use is much like supplying your alcoholic patients with a finer brandy” (Fishman 2006). Others have described simply pushing for new antimicrobials without mechanisms to ensure appropriate use akin to “squeezing the balloon” (Bell 2001). This analogy describes how selection pressure would simply shift to the newly developed antimicrobials, without addressing the issue of inappropriate use. Of course, new antimicrobials are needed and R&D in the area of antimicrobials should be incentivized to overcome the stated barriers, however, new antimicrobials will not be the answer to ever-increasing global AMR. It is understandable why antimicrobials are often referred to as ‘societal drugs’ (Levy 1998, 2002, Owens 2008), as their use and misuse in various sectors have societal consequences well beyond the individual taking them or the sector using them. It is also unmistakably clear that to preserve the effectiveness of existing antimicrobials, we must begin with reducing demand across all sectors, which in turn will reduce AMU. Improved global surveillance of where antimicrobials are being used, what antimicrobials are being used, and how they are being used, will inform how AMU can be reduced and what interventions will be the most effective in curbing AMR. Undeniably, the vast majority of scientific literature on AMU/AMR supports restricting the vast quantities of antimicrobials used in agriculture, particularly for animal growth promotion or routine disease prevention in the absence of a specific disease threat (O’Neill 2016). This is despite opposition from some agricultural industry groups that say evidence on the cause of AMR is inconclusive (Hollis et al. 2013). While it is true that gaps in evidence remain, decreasing the use of significant quantities of antimicrobials in contexts that do not provide a corresponding health benefit seems to be the reasonable place to start. Public awareness of the threat of AMR is also increasing, particularly with respect to intensive agriculture on ‘factory farms’ and the use of antimicrobials for animal growth promotion to increase cheap food production. Similar to the debates and push back that have been occurring for several decades and delaying action to address climate change, despite sound scientific evidence, the current discourse on AMR also shows signs of risk for inaction. Strong corporate lobbying against the evidence surrounding AMR and for the continued use of antimicrobials to increase production of cheap animal protein for human consumption could have devastating global implications. With the growing public awareness of AMR and its connection to intensive agriculture, strong leadership and clear policies are required to ensure public safety and human health are the top priorities of any initiative. Certainly, the issues surrounding AMU and AMR are multifaceted and complex for each sector; each sector requires its own actions and polices to contribute to controlling its part of AMR. In addition, it is evident that there are competing interests and priorities that must be taken into account when suggesting ways forward, including those of the human health and animal health communities, scientific and research communities, governments and policy makers, corporate interests, and the general public. All these interests must come together to form an understanding and consensus on the risks and benefits to AMU (O’Brien 2002). Resistant pathogens do not respect geographical borders, thus these interests must be met on a global scale, with an intelligent globally-coordinated response. Although this may seem like an impossible task, the inevitability of our ever-globalizing world requires such coordination in order to mitigate the potentially devastating outcome of returning to a world in the pre-antibiotic era. 1. Medically important antimicrobials refer to antimicrobials drugs or agents that are important for therapeutic use in humans. 2. Livestock producers may import antimicrobials for their own use on-farm or for further compounding under provisions for ‘Own Use Import (OUI)’ or ‘Active Pharmaceutical Ingredients (API)’ respectively, and these imports are not subject to regulatory approval, monitoring, or tracking and so are unknown for AMU statistics. 3. When discussing AMU for agriculture, this paper will be referring to animal health as it pertains to livestock production, except where otherwise noted. 4. Throughout this paper the terms ‘outpatient’ or ‘community’ use will be used when referring to prescribing or AMU outside of hospitals or emergency rooms, such as in private medical clinics, public health centres or pharmacies. Barza, M., and Gorbach, S.L. (2002). The need to improve antimicrobial use in agriculture, ecological and human health consequences, a report of the facts about antibiotics in animals and the impact on resistance (FAAIR) project, alliance for the prudent use of antibiotics. Clinical Infectious Diseases. 34, (3). Canadian Veterinary Medical Association. (2008). CVMA Antimicrobial Prudent Use Guidelines 2008 for Beef Cattle, Dairy Cattle, Poultry and Swine. (CARA). Canadian Antimicrobial Resistance Alliance (n.d). Comprehensive Overview of Antibiotic Resistance in Canada. Conly, J.M., and Johnston, B.L. (2000). Antibiotic resistance in Canada at the dawn of the new millennium – a model for the developed world? Canadian Journal of Infectious Disease, 11(5). DeVincent, S.J., et al. (2006). Series on antimicrobial use in the United States (multiple papers). Preventive Veterinary Medicine, 73. Friedman C.R. and Whitney C.G., (2008). It’s time for a change in practice: Reducing antibiotic use can alter antibiotic resistance. Journal of Infectious Disease, 197(8). Hollis, A., and Ahmed, Z. (2013). Preserving antibiotics, rationally. New England Journal of Medicine. 369. Huovinen, P., and Cars, O. (1998). Control of antimicrobial resistance: time for action. British Medical Journal, 317. Lindbaek, M., and Hjortdahl, P. (1998). Resistance to antibiotics: restricted prescribing resulted in reduction of resistant strains. British Medical Journal,317. National Farmed Animal Health and Welfare Council, (NRAHWC) 2016. Antimicrobial Stewardship in Food Animals in Canada. Page, S.W., and Gautier, P. (2012). Use of antimicrobial agents in livestock. Rev. Sci. Tech. Off. Int. Epiz., 31(1). (PHAC). Public Health Agency of Canada (2015). Canadian antimicrobial resistance surveillance system report – 2015: protecting Canadians from illness. March 2015. (WHO). World Health Organization (2011). Burden of endemic health care-associated infections worldwide. (WHO). World Health Organization (2014). Antimicrobial Resistance: Global Report on Surveillance.